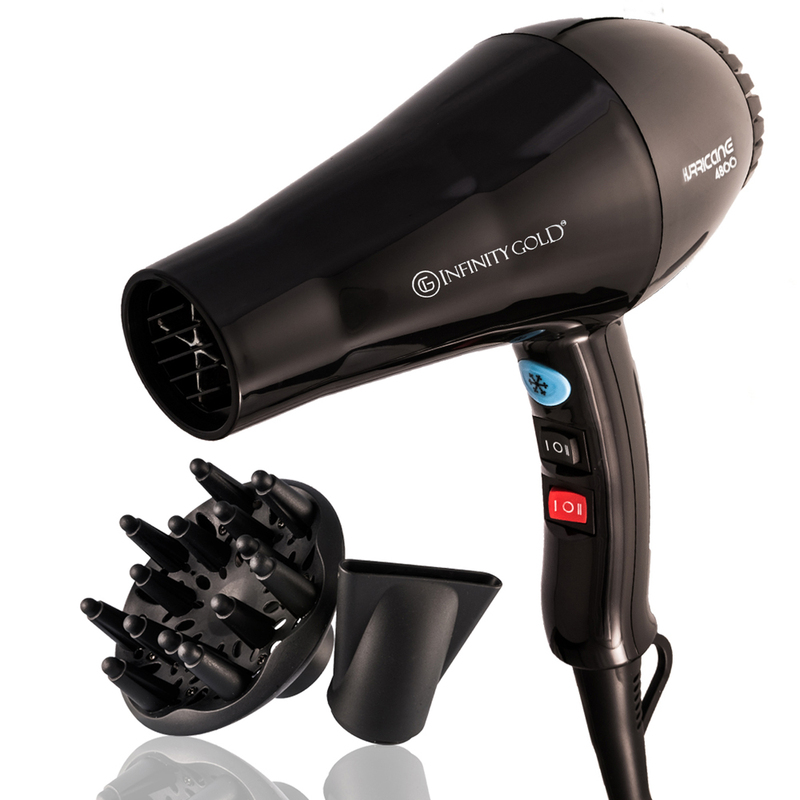 The Infinity Gold Hair Dryer, utilizes Tourmaline technology and infrared heat for superior styling results and healthier hair! The infusion of Ceramic Tourmaline Technology is designed to create a steady stream of heat that minimizes damage to hair cuticles. The tourmaline infused with micro gold particles emit negative ions that help lock in the hair’s natural moisture while also cutting down on drying time. When your hair is dried and styled, give it a once-over with the cool-shot button, which helps to lock and hold styling results. 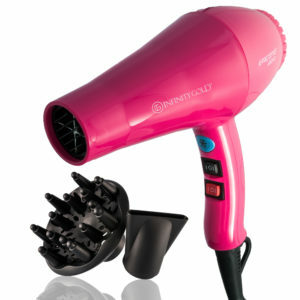 Benefits This Professional Blow Dryer does more than simply dry your hair. 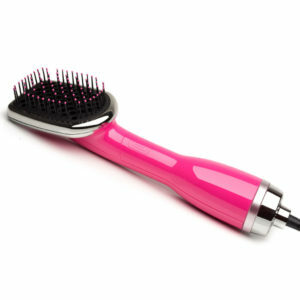 It also helps to fight frizz and infuse hair with body and shine. How It Works The ceramic-coated barrel is designed to create a steady stream of heat that minimizes damage to hair cuticles. 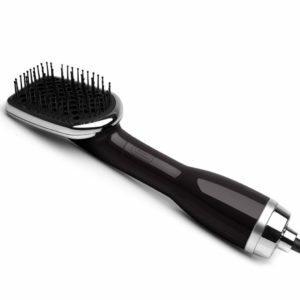 The tourmaline infused with micro gold particles barrel also emits negative ions that help lock in hair’s natural moisture while also cutting down on drying time. 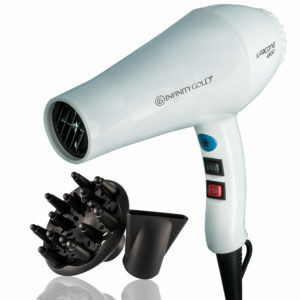 When your hair is dried and styled, give it a once-over with the cool-shot button, which helps lock your ‘do in place.